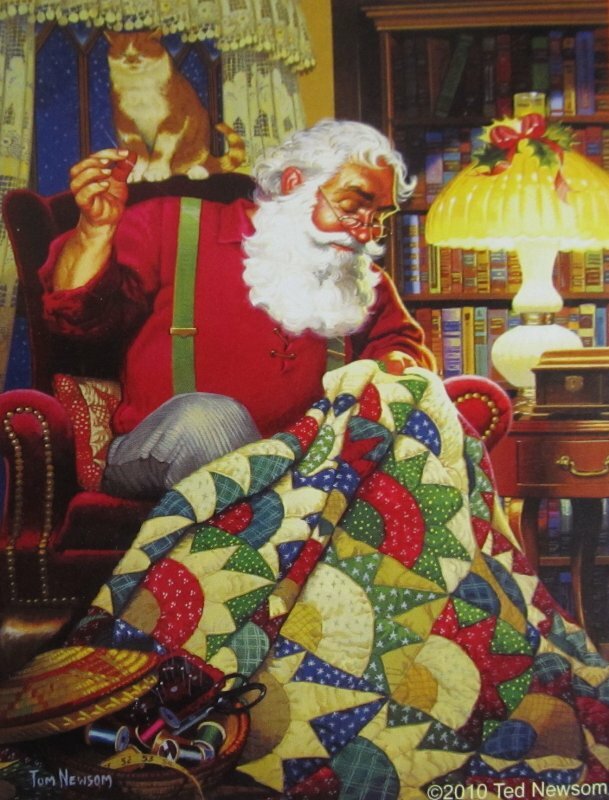 "Over on my Facebook page, when I posted this lovely picture 'Quilting Santa', a conversation began about what block was used in Santa's quilt. "The closest design I could find was one called 'Rising Sun', though it uses wedges for the arcs. 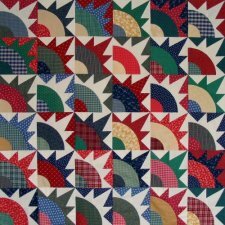 "I offered to figure out the design, and when my block was approved, I put together this tutorial so you can also make this lovely quilt!"